Shena Mackay's writing shimmers with linguistic invention. It engenders a shift of perception on the part of the reader, a disorientation of everyday assumptions that can be delicious and is often uncomfortable. The strange is discovered in the familiar, the feral in the domestic. Known quantities dissolve surreally, similes surprise. Shena Mackay, who was born in Edinburgh and now lives in London, was inspired to write by her reading of poets such as Yeats, Auden and MacNeice, but prefers to express her own distinctive poetic sense through narrative. Her first book, 'Dust Falls on Eugene Schlumburger/Toddler on the Run' (1964) consisted of two novellas published back to back. 'Old Crow' (1967) and 'An Advent Calendar' (1971) established her as a highly witty and totally original voice. Her short story collections include 'Dreams of Dead Women's Handbags' (1987) and 'The World's Smallest Unicorn and Other Stories' (1999). The bestselling 'The Orchard on Fire' (1996) was shortlisted for the Booker Prize. 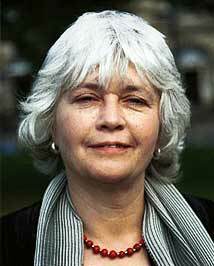 She herself has been a judge for several major literary prizes.